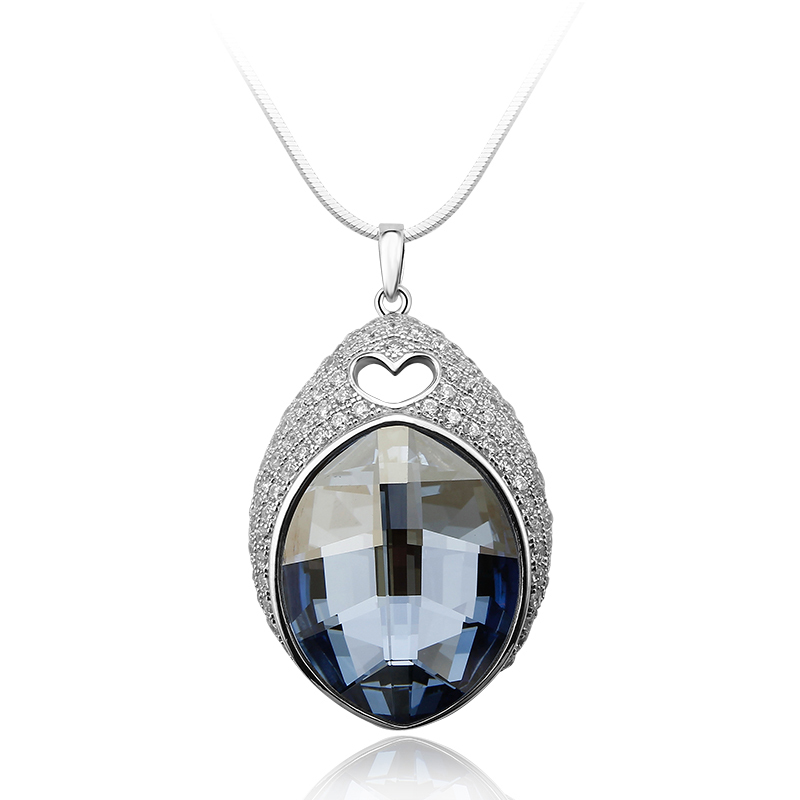 Blue Shade Sterling Silver Swarovski Crystal Pendant. This beautiful pendant features sparkling crystals, creating a brilliant sparkle. The metal is Sterling Silver 925 and is plated with rhodium, a precious metal of the platinum family that does not tarnish. It measures 31 x 23 mm.